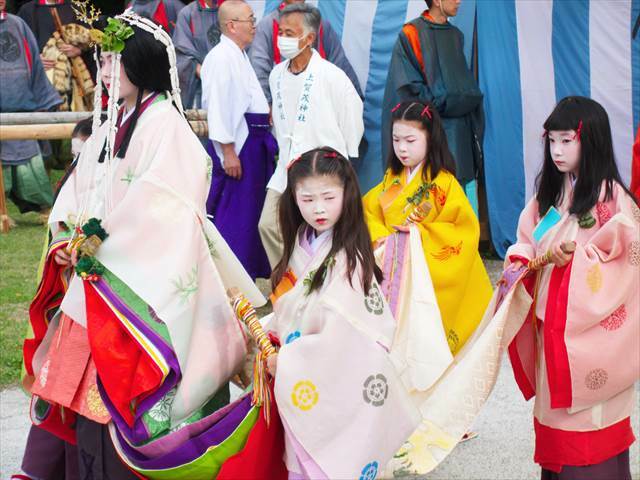 What is Aoi Matsuri Festival? 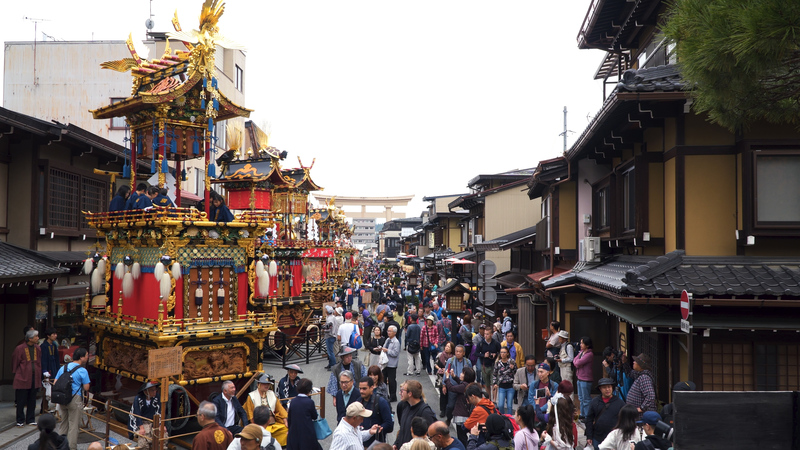 Aoi Matsuri Festival is one of the three great festivals of Kyoto, along with Gion Matsuri Festival and Jidai Matsuri Festival, and it is known as the most quaint and graceful of the three. 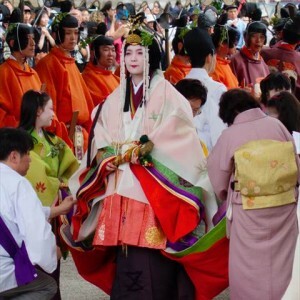 Every year on May 15th, more than 500 people dress as aristocrats from the Heian Period, from the 8th to 12th centuries, and march through Kyoto city. 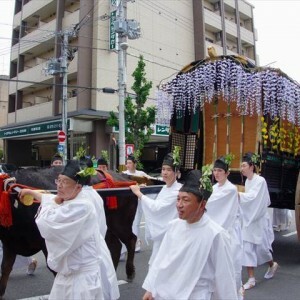 The origin of Aoi Matsuri Festival dates back to the reign of the Emperor Kinmei in the 6th century, when people suffered due to terrible storms and famines. Emperor Kinmei sent his messenger to the Kamo Shrines to pay homage to the deities and performed solemn rites at the shrine. After this, the deities were pacified, and the storms calmed down. Thus, the people were able to reap bountiful harvests again. 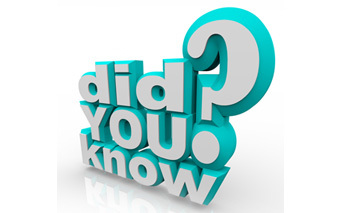 Ever since, the custom of the rites has been handed down from generation to generation up to the present day. 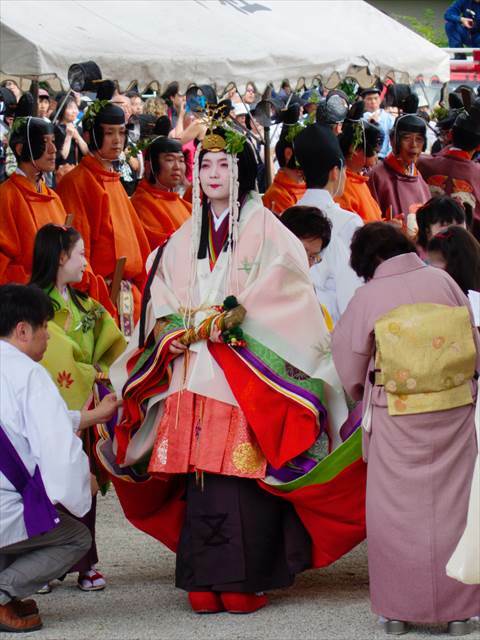 The Aoi Matsuri Festival consists of two rites: Roto-no-Gi, the procession, and Shato-no-Gi, the rite privately held inside the Kamo Shrines. 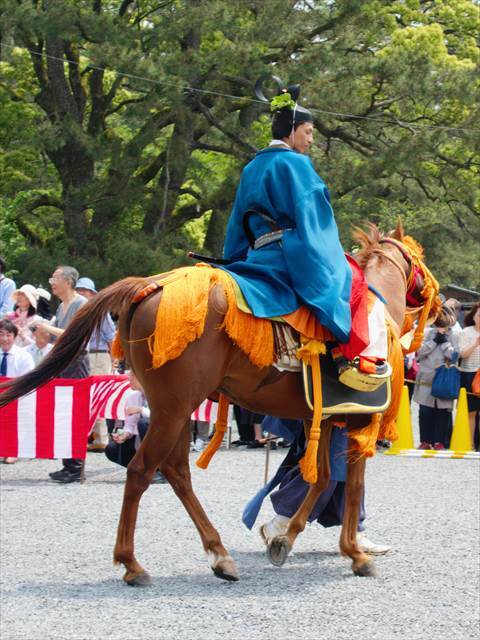 The procession is the most popular, due to its splendor, which includes 511 people, 36 horses, 4 oxen, and 2 carriages. 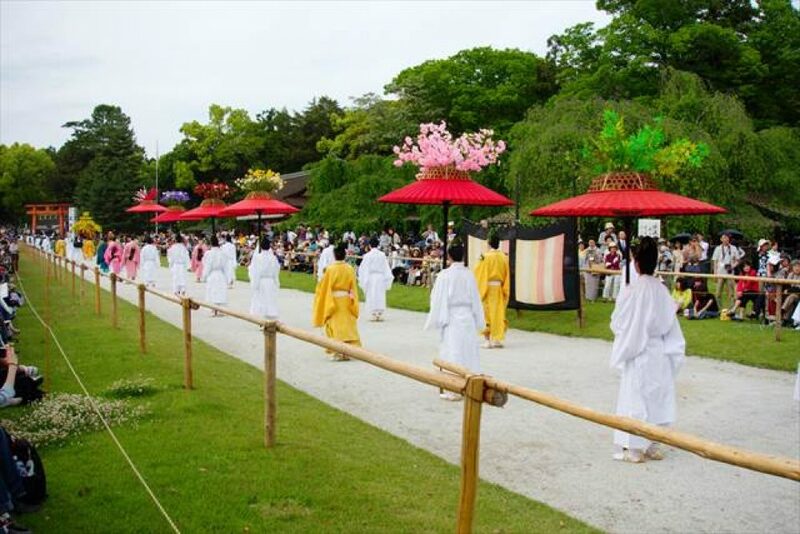 The procession starts from the Kyoto Imperial Palace, marches through Kyoto city to Shimogamo Shrine in the morning, then has its finale at Kamigamo Shrine in the afternoon. Since the 6th century, thousands of people have swarmed along its route and have enjoyed watching the elegant Roto-no-Gi procession. The most important part of the Roto-no-Gi procession is Saiodai. It is a representative of Saio, who was a young female member of the imperial family and who served as high priestess of the Kamo Shrines back in the Heian Period. 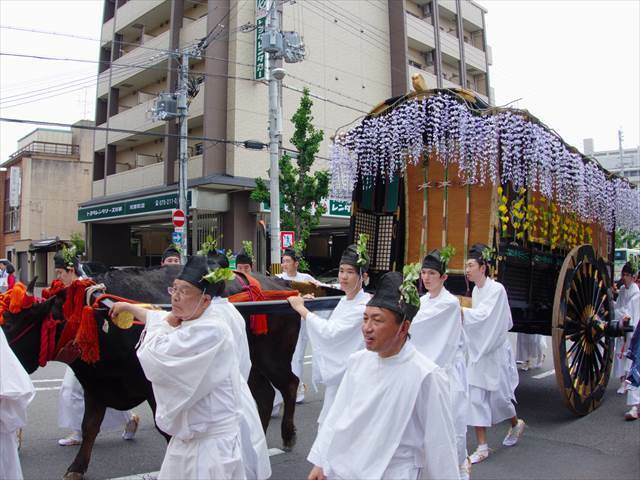 Nowadays, an unmarried woman from Kyoto is selected each year to serve as Saiodai and is taken through the procession on a palanquin. 1. Reserved seats are available. 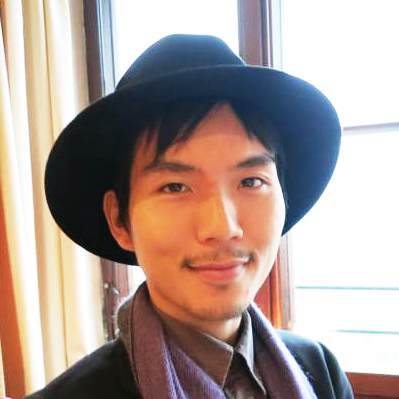 If you want to see the procession in comfort, reserved seats at the Kyoto Imperial Palace and Shimogamo Shrine can be purchased in advance. 2. It grows less crowded as the procession goes on. 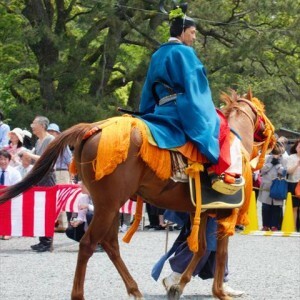 It becomes less and less crowded as the procession goes from Kyoto Palace to Shimogamo Shrine and then Kamigamo Shrine. 3. Kamigamo Shrine is the best place to see it from. 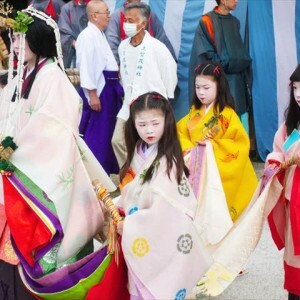 We at Japanesquest personally recommend watching the procession at the Kamigamo Shrine if you need to choose one. You can also purchase a ticket sold on the day of the festival at the Kamigamo Shrine if you want to see it up close.